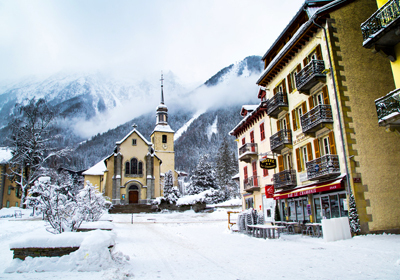 Chamonix is one of a few genuine ski towns. It's busy throughout the year with a thriving summer season as well as a reputation for being the go to place for off-piste skiing. The town is lively, with a range of different restaurants and bars that cater for everyone from high end clientel to locals looking for reasonable prices and good quality. There are often events that take place in the central square, including the Freeriding World Cup amongst others, and there are a number of luxury and specialist shops nestled side by side in the centre of town. 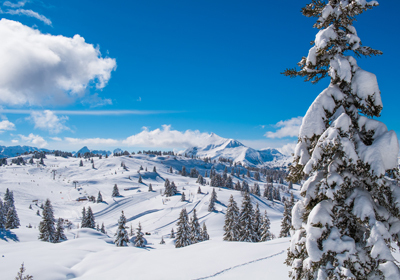 Le Praz, further up the valley is self contained, but sits within easy reach of the centre of the resort if you want to go to one of a number of excellent restaurants on the river front, including Le Caphorn and Atmosphere. 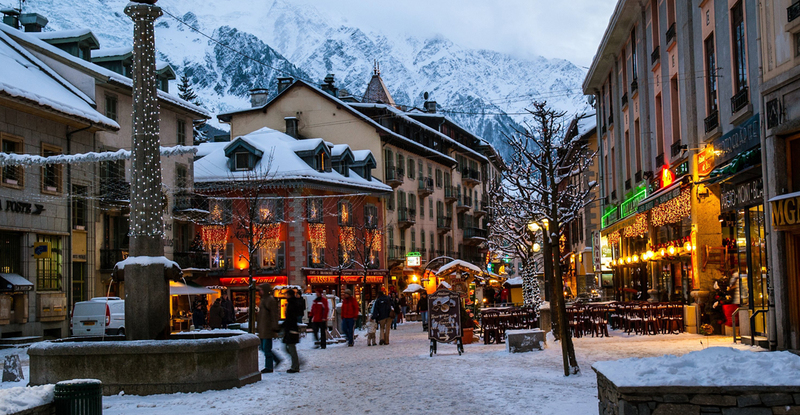 Where the centre of Chamonix is a lively year round destination, Argentiere can be quiet out of season. There are a number of ski in, ski out properties sitting on the slopes near the Grand Montets ski lift, and a growing number of bars and restaurants in the village. There are four main sections in the Chamonix ski area, each offering something distinct. The largest of them, Brevent-Flegere, has wide intermediate friendly trails, with some more challenging off-piste sections that expert skiers can explore. The top of the Plan Praz gondola has one of the best mountain restaurants in the resort, and the high skiing at the top of the Brevent gondola usually has the best snow conditions in the area. The Grand Montets ski area, in Argentiere, is the highest and least forgiving of all the skiing in the area, with few mountain restaurants and North facing slopes that can be icy if it hasn't snowed recently. Domaine de Balme, the area that links the small villages of Le Tour and Vallorcine at the top of the valley, has the best snow park in Chamonix. Although much of the area is linked with drag lifts, this area has plenty of mountain restaurants and rolling terrain perfect for confident intermediate skiers. Les Houche, the lowest of all the ski areas, shares part of its skiing with St Gervais. The mountain has a good range of pistes from long blue runs to the fast world cup downhill slope. Mountain restaurants are fantastic, but a little more expensive here than in Domaine de Balme. As a year round destination, Chamonix is a favourite amongst mountain bikers, hikers, climbers and other summer Alpine tourists. Sitting at the foot of Mont Blanc, with the Aguille du Midi offering an easy viewing point, summers in Chamonix include a vibrant mix of tourists from all over the globe; locals and returning visitors. The Tour de France comes through Chamonix each year, which always brings a number of spectators, while the Cosmo Jazz Festival and other summer events mean that the centre of town is buzzing during the summer months. Outside seating in the square, and sun terraces in many of the more popular restaurants, mean that those not keen on the range of extreme sports on offer can always find a pleasant spot for a coffee. The golf club at Le Praz is open during the summer months, with an 18 hole course boasting surrounding views of the spectacular mountains. There is a range of trails for both hikers and mountain bikers, including valley floor paths and high mountain routes. 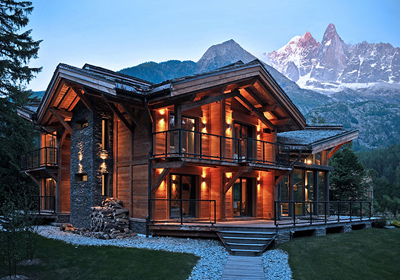 Properties in Chamonix range from luxury chalets, to high quality and convenient lock and leave apartments. While many of the properties, such as the ten high-end chalets in Le Green, are in central locations in Chamonix and Le Praz, there are a number that boast peaceful positions closer to Argentiere and Les Bossons. 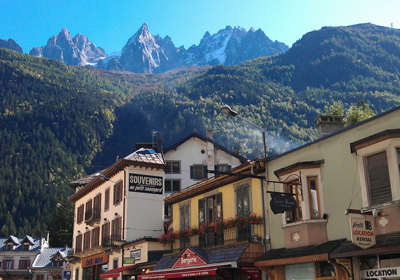 Prices in the centre of Chamonix are the highest in the resort. For the same budget you can afford a three bedroom apartment right in the heart of the resort, within walking distance of all the amenities, and a spacious chalet with spa facilities in the lower priced Les Bossons and Les Houche areas. The Vauban apartment is a beautiful traditional apartment located in a great position in the centre of Chamonix and close to the lifts. Borell is an attractive property situated in a large residence and located close to the slopes and centre of Chamonix. Chalet Lafayette is a stunning, recently built chalet, situated in Les Bossons, a quiet and picturesque region of Chamonix.